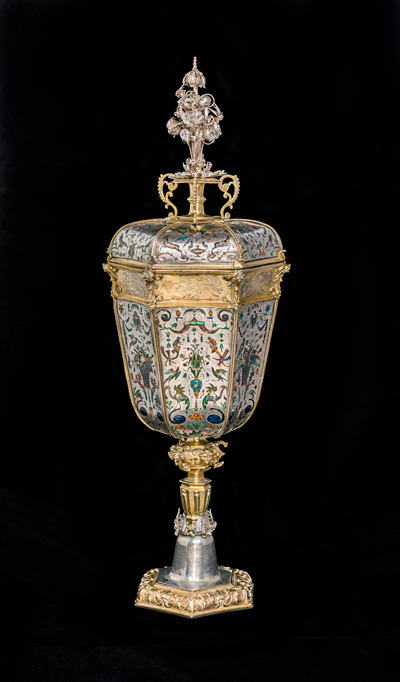 Lidded cloisonné and silver chalice, made in Augsburg in 1610 by the silversmith Philip Gross and the enameller David Altenstetter, and presented to the church in 1738 by the Grill family. The chalice has a wooden case. This chalice is termed a lidded chalice goblet. 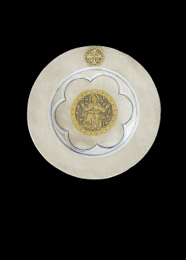 The cup rests on an octagonal food with architectural detailing and an ornamented node. There is a lid for the cup. 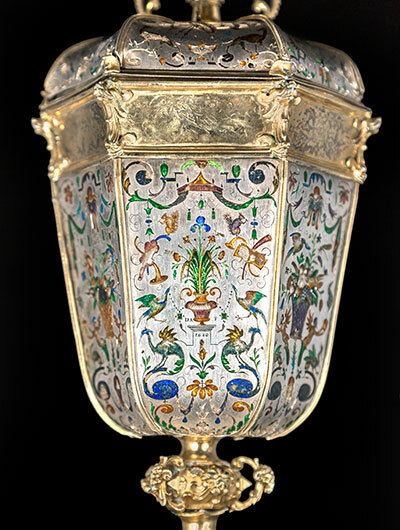 Both lid and cup are richly decorated with grotesque cloisonné ornamentation in Late Renaissance style. The enamel work depicts musical instruments, plants, birds, animals and insects, some of them quite realistic others wholly “fantastic”. 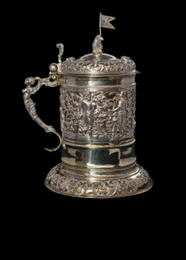 The cup is inscribed with the letters DA F and the date 1610. 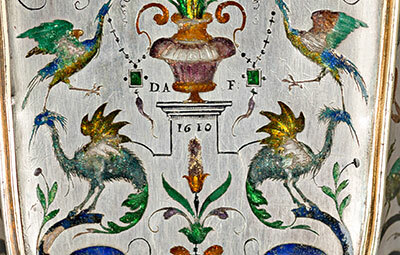 The first two letters are the enamel artist David Altenstetter’s initial, while F stands for the Latin fecit, added to the artist’s name as a declaration of authorship. 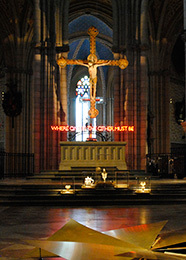 The names of the donors, Claes and Anna Johanna Grill, are engraved underneath the foot, together with the date of their benefaction. 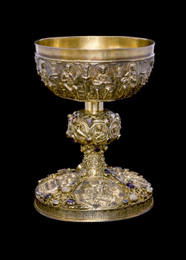 The communion chalice is a liturgical object and in medieval times ranked as “vasa sacra”, a sacred vessel, meaning that it came into direct contact with the host and therefore had to be made of a precious metal, either gold or silver. 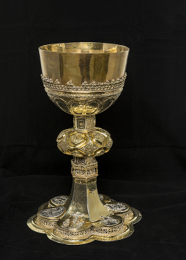 The Eucharist retained its central position in church services after the Reformation, and accordingly, the chalice remained an important gift to churches. 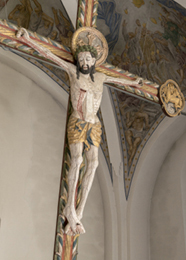 This one was presented to the church by Claes and Anna Grill in return for a promise that it would never be melted down.  They themselves were not parishioners, but they owned the iron foundry in nearby Iggesund.